It's been a couple of quite busy weeks, where unfortunately no painting got done. The old sculpting tools and glue bottles got a lot of use though. Figured it would be best to collect things for a big update with decent pictures, rather than bumbling about with horrible phonecam pics. The new Samsung camera is definitely working out quite nicely. So for starters I've gone through the entire Counterblast range for another Look at-article (link) and had a blast doing so. Really love the cephalopod Edofleine models and the conversion opportunities opened up by the separately available, plastic helmets. Been doing the same for the latest batch of AntiMatter Games' releases, so there will be an article on these later in the week. Some lovely new stuff both for ShadowSea and DeepWars, including stunning terrain pieces like the Death Ray. Also got around to clearing out the huge mess of cards I've accumulated of late. In between Deadzone, ShadowSea, DeepWars and Pulp City I needed a better solution that just piling them up in the hobby closet. 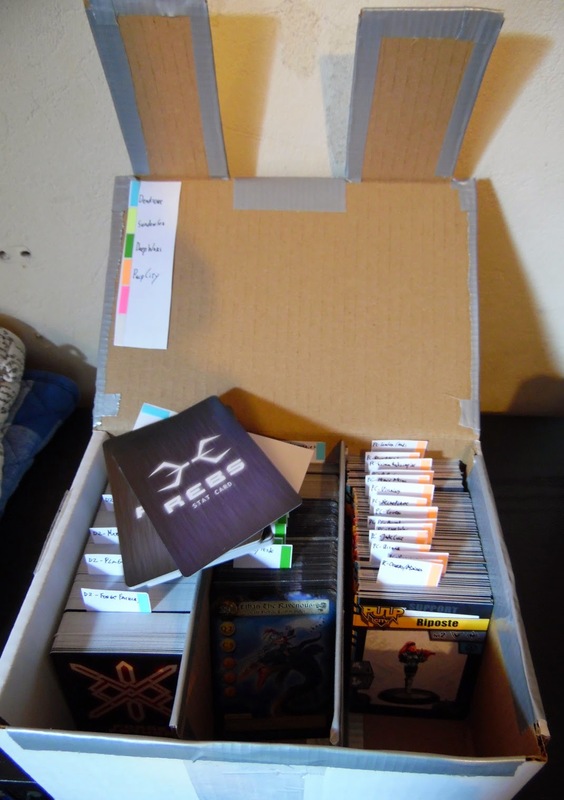 So some quick and easy ductaping later there's now a dedicated, sorted and color-coded profile cards box. Just in time as well as the extra Deadzone cards I got printed arrived. 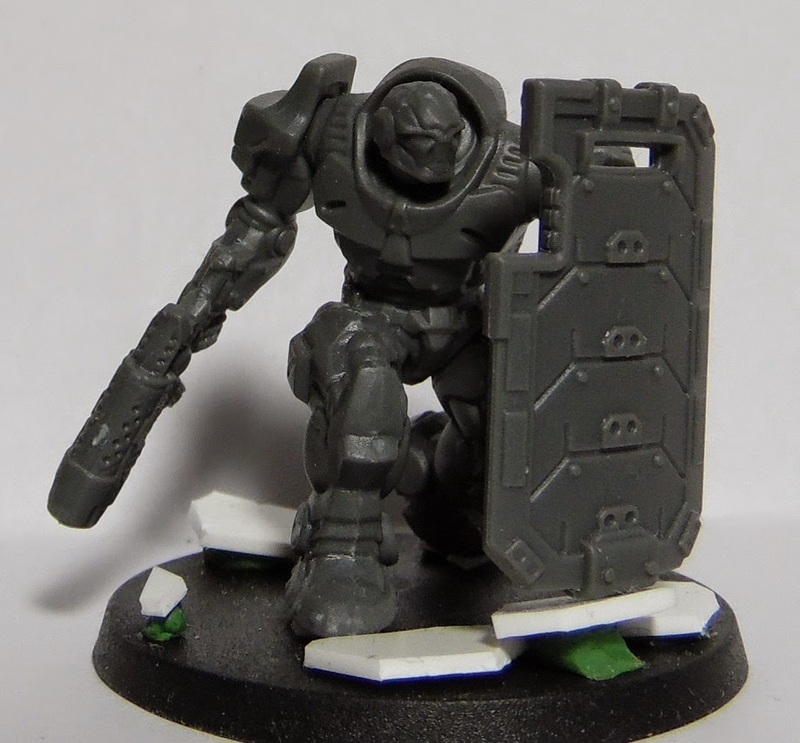 Mantic didn't get around to printing these as the associated models were a limited run production during the Kickstarter, not sure if they'll ever see a general release. 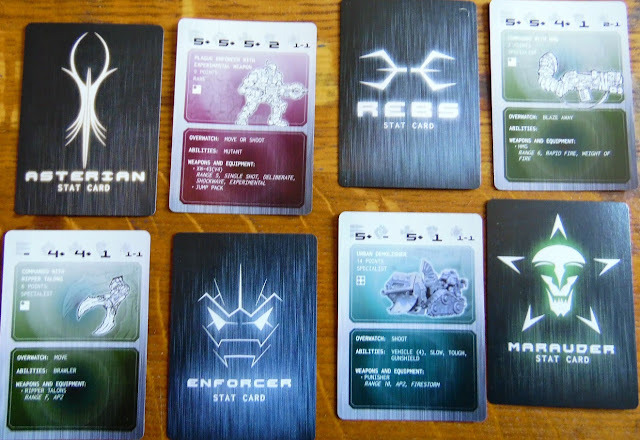 Luckily the Deadzone community provides (link) as does the ease of printing custom poker cards (link). Few extra bucks to round out the entire collection and at a very nice print quality as well. 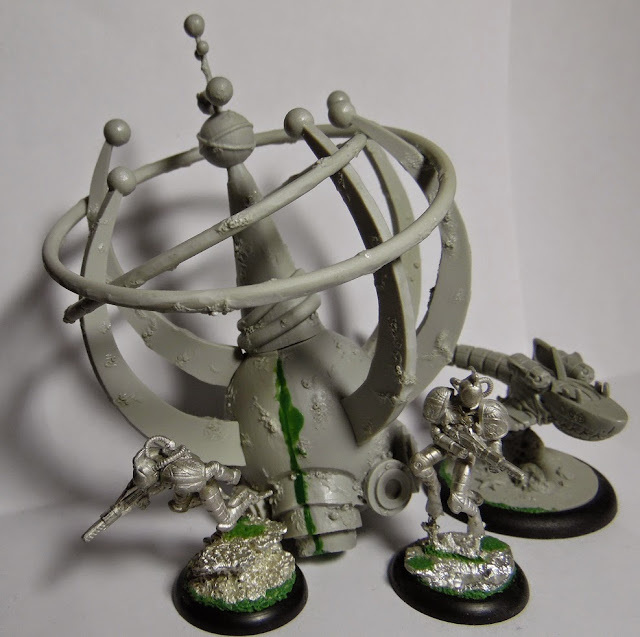 And then we have another Dreadball team all geared up for paint, this time the recently released Hobgoblins. Not quite sure on the color scheme yet, should work itself out though. Things generally do for Dreadball. The adjusted formula for the resinplastic is really paying off as well. Removing moldlines is nowhere near the pain it was for the Season I and II releases, while its slightly softer nature makes conversion work a lot easier. Can't speak for the older teams, but the Season IV stuff has been quite good to work with and should fairly easily be convertable for use as count as troops in Deadzone.